Can anything be clearer than that the sooner you have that 90-plus percent settlement rate working for you, the better it is for your entire case management program, the lawyers, and the litigants? Each judge must develop his own method of conducting a conference. It should be run in chambers, informally and under relaxed circumstances. I do not believe in the "hard boiled" approach. In the long term, coerced settlements will add to neither your stature as a judge nor your success at settling cases. The conclusion to be drawn is evident: settle sooner, not 1ater. 14 Inject yourself into settlement discussions at the earliest realistic opportunity. Timing is important. Many attorneys (and claims agents) will not put a figure on the table until certain discovery has been undertaken or all discovery has been completed. Only by closely monitoring your cases will you know when a conference is in order. The costs of litigation increase to the disadvantage of the parties and counsel. Why must we go through all this when we know that the case (if it is one of the 90 percent) is eventually going to be settled anyway? Put the lawyers on th~ settlement track early. Encourage them to think of an amicable disposition of the case. Be meticulously impartial and absolutely fair. Let counsel know that they will be at trial shortly and that the trial date is firm. Can someone tell me how many new GERS systems were installed in 2012? And if you care to name what ones will be installed in 2013? Peak oil will eventually hit and hit hard....It has been right transilated for several years due to better extraction methods....Eventually depletion rates and deminishing discover finds will slam into increasing world wide demand and a massive gap between demand and supply will emerge.. Admittedly, the economic environment for corn ethanol producers has brightened somewhat since last summer, when it was beset by the brutal combination of very high feedstock costs, worthless Renewable Identification Numbers (RIN), and overproduction. As of late autumn, U.S. corn ethanol production had fallen by nearly 12% from its January mark (see figure), ending the overcapacity situation and causing RIN values to increase to $0.05/RIN. The mandated volume of corn ethanol under the RFS2 is also set to increase to 13.8 billion gallons in 2013, which will require a 12% increase in production from December 2012 levels if it is to be met. looks to me like the pathway for corn ethanol was set by prior legislation and that roughly 36% recovery/growth over the next two years would be pretty good. if i am not mistaken, more corn ethanol means more corn oil which is more valuable under the new legislation --- $1 per gallon? i think you can do or redo the math. Can we keep this a great sight without foolish conversation. Let's keep it professional. That is impossible for most of the posters on this blog -- they lack adequate breeding to meet your expectations for this "sight". [A spell checker would not have helped you with that faux pas, and if you know what that means you are light years outside of their intellectual orbit]. Thanks for confirming that last poster's fear. You have truly lost "site". If you don't use proper grammar, spelling and syntax yourself you shouldn't set yourself up as the Poobah of Language!! Makes you seem irrelevant and extranious. Put another way, you make yourself a dipstick!! By your logic, use of "SpellCheck" would give you adequate "Breeding"! Doofus! Why do you not try to contribute with thoughtful commentary that could pass muster on I-Hub instead of regurgitating the sewer gas that emanates from your oral pore? These nuts to nobody 12378. Can you spell greeeeen biiench? I think Nobody just likes head games..lol! It is called "Pimping the Cadets". 1) Peak oil demand/exceeds supplies, almost certain..."oil shock"
2) war; to confuse minds regarding the currency collapse and economic malaise from poor governmental policy decisions...."war"
hahah so funny nobody doesnt know how to trade, cries all day on here and i flub, learn how to trade donkey boy and mb ur wife will stop HOOKIN on weekends!!! now they are invested in and dependent upon corn oil extraction, which precedes the dryers, they can pay royalties on their DDGS too. We believe that the established first generation corn ethanol infrastructure is the only practical pathway in North America to cost-effectively increase the production and use of carbon-neutral biofuels on globally-meaningful scales. To accomplish this in a competitive and environmentally superior way, first generation corn ethanol facilities will need to evolve to achieve significantly improved production efficiencies. We intend to contribute to that evolution. Our go-to-market plan today is based on the commercialization and sequential integration of our technology upgrades into first generation corn ethanol process infrastructure to capitalize on all practical operating synergies. We intend to remain focused on developing and implementing technologies that make first generation ethanol plants more efficient and to upgrade these plants into integrated multi-feedstock, multi-fuel biorefineries. To do so, we plan to leverage our established Extraction Platform and market positioning to continue to develop and deliver clean technology upgrades to our ethanol clients. Our new patent-pending Cellulosic Oil™ process conditions and converts the residual sugars, starch and cellulosic biomass in distillers grain and selected offsite biomass into increased oil and protein yield. This technology uses a number of oleaginous microbes and has demonstrated the potential to increase oil extraction yields to more than 10 million gallons for every 100 million gallons of corn ethanol produced. Bench testing has also shown that manipulation of the free fatty acid and amino acid profiles of the lipids and protein produced by this process is viable. This has compelling implications for biofuel and culinary applications. Cellulosic Oil™ technology also has the potential for use in a number of applications outside of the ethanol industry, including pulp and paper, sewage, trash, and qualified industrial wastewater applications. Any successful use of Cellulosic Oil™ technology in these markets will also require use of our patent-pending oil extraction technologies, thus enabling opportunities for growth beyond the corn ethanol industry. While GreenShift is focused on commercialization requirements of its corn oil extraction technologies, we recognize that our other technologies have the potential to deliver value to our clients and shareholders. We have granted licenses to facilitate the continued research, development and commercialization of our other technologies. GreenShift's patented Tornado Generator™ is a remarkable technology that accelerates compressed air to supersonic speeds to almost instantly grind, flash desiccate, atomize and homogenize solids and liquids into micron sized powders. This technology is a robust way to reduce feedstock variability and improve consistency in the thermal, chemical or enzymatic processing of qualified feedstocks. There are no silver bullets in cleantech. A major reason for this is feedstock variability and the challenges magnify as you move from dedicated feedstock sources (such as corn cobs or wood chips) to mixed co-products or wastes that contain many different individual types of feedstock such as food, paper, wood, sewage and plastic. The primary value proposition of the Tornado Generator technology in renewable fuel and energy production is its ability to cost-effectively prepare and homogenize targeted feedstocks to dilute variances and reduce uncertainly in reaction kinetics. This equates to increased predictability and reliability in downstream refining. The Tornado Generator has a great many other applications, from increasing the availability of targeted metals in mine tailings and metal-bearing wastes, to desiccating dirty coal for improved supply-chain cost and combustion efficiencies, to volume reduction of municipal wastes for reduced waste transportation and disposal costs, to increasing inline reuse opportunities in paper manufacturing processes, to greatly improved efficiencies in higher margin food, neutraceutical and pharmaceutical applications. Tornado Generator technology has been successfully demonstrated in each of the above applications by several third parties, including a global food products company that has been actively testing the technology for several years. The only commercial deployment of Tornado Generator technology today is in Joplin, Missouri, where it effectively processes and dehydrates poultry products into highly nutritional and shelf stable products. This system operates 24 hours per day, 5 days per week and produces high quality animal fats, chicken broth and dehydrated poultry proteins. GreenShift's plan for the Tornado Generator involves raising additional capital to research and optimize design and operating parameters for each targeted application. For now, this amazing technology is available for purchase by qualified clients seeking to refine biomass into clean fuels and other carbon neutral products with a thermal, chemical or enzymatic process. wow 200000 buy @ ask ! bids up 200000 @ 3.3 ! WOW after all that the PPS hasn't budged -- absolutely consistent with previous dilution pattern; releasing shares into trading demand. All photosynthetic organisms need the following to live and grow: a supply of CO2, light, a growth media and water with nutrients. GreenShift's Algae Bioreactor has the potential to reduce the costs of and technical barriers to managing the flow resources into, through and out bioreactor in a compact and cost-efficient way as compared to other algae bioreactor technologies. Concentrated CO2 is captured and piped to the bioreactor. The sunlight is then collected using efficient parabolic mirrors that transfer and filter the light to a series of light pipes. The light pipes channel the light into the bioreactor structure where it is distributed and radiated throughout the structure using light panels. The organisms we use require as little as 1.5% direct light which means that our collected light can be distributed over a substantial surface area. Next, a growth media, such as polyester, is inserted between each lighting surface. Water, containing nutrients, continuously cascades down the growth media to facilitate the final required step for optimal growth. To harvest the new biomass, the flow rate of the water over the growth media is increased slightly to remove a portion of the algae, allowing a portion of algae to remain and to begin the next growth cycle. The removed algae is then collected and routed for conversion into value added carbon neutral products. Our technology is also very flexible and can accommodate a variety of algae types. High starch, high oil, or high cellulose algae can be grown in our bioreactor depending on output requirements. 150000 buy @ 3.5 ! GreenShift's commercialization plan for this technology is to co-locate bioreactors at corn ethanol production plants and other fermentation processes where concentrated supplies of carbon dioxide naturally emit and are relatively easy to capture and control. We plan to leverage our existing extraction platform and presence in the U.S. ethanol industry to reduce capital and go-to-market costs. Why should anyone believe GERS algae reactor would create favorable economics when dozens of companies have spent 100s of millions and yet to commercialize it? Because you just need to BELIEVE if you are going to be a GERSlander. If you are a non-believer you will be tarred and feathered. I fear that is the case, Nobody. I wish somebody had some objective data on the economics of their algae system, but all I've seen is the computer animation. Hype and dreams don't help me forecast GERS future. I'll prepare for my tar and feathers. Algae is the future. Show me any data from any company. It's too new for that. You won't find anywhere. Nobody is right you fools are gonna lose all your money when this ship sinks. You should ve listened to him and sold. I have NEVER said SELL!! If the algae tech is anything like the coe tech it's a winner. Completely out of context. As usual with the intellectually impaired -- difficulty in reading an comprehending the English language. This blog really used to be nice when it was kept to facts or opinions that were based on news. I can't imagine how many investors we are losing over all this yahoo blogger kind of comments. I used to scan through nobody's comments after a few months ago and go straight to the next that had news.. But now there are more cluttered texts that deal with bashing on nobody and not dealing with news. I don't need to hear donkey this or donkey that or bashing on sexual induindos ect. I have been a gers investor for 4 yrs now and I'm sticking to it. Anyone that knows me know I have never been a big fan of nobody, but can we kind of start to just keep to this is a news page and not a yahoo blog site. Skunk works really hard on this and I cannot imagine how bad she feels when she has to look at all this and some bogus comments on this site she works hard for. This Is Unfortunatly the only site intelligent people can go to right now do to this hearing for some news, and I can't imagine all those that have just turned away because they got tired of going through the trash bashing to get more info. Just a thought respectfully to everyone. Thanks and take care. I'm still holding string for them and adding for 4 yrs. not giving up hope. They are great and I belive. Sincerely Kim Brown. who have they granted research and development licenses to? anyone know? Give it a rest Slash; you are starting to sound a little crazy and you would not want tto self-assassinate your credibility. We are headed towards another r/s just like nobody predicted should ve sold wgen nobody told you to. You have been right the whole time dont listen to these jerks. I called the last R/S and the 1000 to 1 ratio. I have not stated anything about the next R/S and will not consider it until we reach more than 100 million OS count, and fall below a penny. The hookin email is old news, try something else. We are about makin money . Well said Kim Brown. Maybe skunk should moderate and delete some of the BS. While I disagree with nobody some of the time and find him annoying more often, he has never used the immature, offensive, repetitive language the the donkey poster does. I'm saying remove that crap. I can at least make a counterpoint to nobody and actually have a discourse. The childish attacks are just wasting space. hahaa nobody owns all of u cadets...pimps u out well!!! your memory is faulty. the formula you espoused last summer for dilution was ... "below the bid." That was last summer. Things change, and I staked my position based on what I see. In 90 days or so we will know. You may want to look back and see who was concerned that we would exceed 50 million in OS share count before the end of 2012. Folks like you ridiculed my analysis -- but we exceed that by early November. The concern I have with this dilution is not the dilution per se but why is it necessary when KK's goal was to end it in 2012 and why is revenue so low that they cannot pay their bills? Those are real issues to chew on instead of the manic blind defense that nothing at all is wrong with GERS and everyone is going to be rich in the coming years. Similar statements were made during last quarter when the OS share count ran from 38 million to 52 million. The only certain knowledge will be unveiled with the 10K in 90 days. Stay tuned, and get ready for another boost in the OS share count. like me? maybe. not me per se. i was impressed. at least until you hung your hat on something that anyone here could have developed, which diminished your credibility. right, or almost right. 1/4 right? more supposition. whatever there tutu. i mean guru. we will have a number in a few weeks. even if right youre still WRONG! Can you clarify your statements? Your innuendo is excessive to the point of eviscerating your attempt to communicate. you are making an assumption that the only way shares can enter the OS count is through the open market visa vi trades that can be followed by the various services. We have learned in the past that this is not correct. If your supposition is not valid what does that do you to your calibration and detection of dilution? “Down, down, down the stomach through round, round, round the system too, With Alka-Seltzer you’re sure to say, relief is just a swallow away.” Would Alka-Seltzer be a cure for our down, down , and down PPS? Is that the best pimping you can do? Why don't you take a rolaid and shove it up, up, up somewhere. Sorry, to create such confusion, anxiety, and indecision amongst the Hallelujah Choir. Keep the faith bother; that is all you are going to have for a while. Why do you assume that just because someone is sick of an obnoxious knuckle dragger like you they must be a member of your imagined choir? What other delusions do you have? That GERS will make me rich in the next year. Responses like that from the cadet legion really light my fire -- keep it up! You idiots do not get it and never will, my rationale is out for all that may be interested. Only the functionally illiterate and mentally incompetent would continue down your path. On to better pickings. I have mine. Ha! Who's pimping who, Jerkweed? Are Zero trades your idea of a plummeting pps? 150000 buy @ ask ! wow 775000 bid @ 3.3 ! 816000 bid @ 3.4 ! wow 184000 buy @ ask ! Want a break from reading all your DD? I am now featuring some GreenShift Media. 23 Feb 2006 '858 patent publication date. So who will benefit from this relationship? Stay tuned to find out! Mr Kevin Kreisler maintains his GERS stock through his holding company: Viridis Capital, LLC. Mr. Kreisler is a graduate of Rutgers University College of Engineering (B.S., Civil and Environmental Engineering, 1994), Rutgers University Graduate School of Management (M.B.A., 1995), and Rutgers University School of Law (J.D., 1997). Served as the Company’s vice president from 1998 to 2000, president from 2000 to 2002, chief executive officer from 2002 to 2005 and has served as the Company’s chairman from 2005 to the present. Admitted to practice law in New Jersey and the United States District Court for the District of New Jersey. 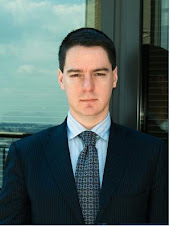 Kevin Kreisler is the sole owner of Viridis Capital LLC; GreenSpace Capital, LLC; Incandent Capital, L.L.C. 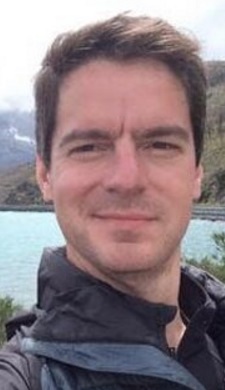 Mr. Kevin Kreisler is about 37 years old. David Fred Cantrell - Graduate of the University of Georgia where he received a Masters Degree in Poultry Science and Statistics. Co-inventor of COE technology with Dave Winsness. Started: Cantrell Winsness Technologies LLC. Next: CEO of Mean Green Biodiesel. Works out of One Penn Plaza, NY? Dan Page - Attended 2008 Ethanol Conference for Greenshift Corp from Alpharetta, GA.
Jacqueline Flynn - Controller of GreenShift Corporation since 2006. She is the Chief Financial Officer (CFO) and Chief Accounting Officer for ESYM/ADRN. She is also the CFO for CICS. She has twenty years experience in financial accounting for both public and private companies. 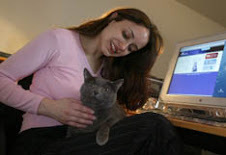 Mary J. Carroll - Worked in GreenShift Administration since at least December of 2003. Presently GreenShift Vice President of Administration. Lawrence M. Kreisler - Lawrence is the sole owner of Serenity Capital, LLC. Built Kreisler Bags, then Kreisler Bags and Filters, then KBF Pollution Control Inc., then KBF Pollution Management Inc. After 1-20 R/S Sept2003 company was taken over by Veridium Corp in Oct2003, controlled by son Kevin. Resigned, effective December 31, 2003, as an officer and director of Veridium Corporation. Continued to work at Veridium's Paterson, New Jersey based recycling facility, that was designed on recycling technologies he invented. His employment was terminated in July 2004 due to irreconcilable philosophical differences in how to best operate and grow that facility. Bronze Parachute included: 100 percent of his salary of $150,000 through December 31, 2004 and 50 percent of his salary through December 31, 2006. Medical benefits until the age of 65. Lawrence is about 61 years old. Scott Kreisler - Scott is the sole owner of Cyrus Capital, LLC. Brother of Kevin Kreisler, listed as a Beneficial Owner of Veridium Corporation on 4/2/2002 SEC filings. The 2005 annual report also says: "During 2005, Scott Kreisler, brother of Kevin Kreisler, received salaries of $72,700. Scott Kreisler no longer works for the Company." In February 2006, Cyrus Capital, LLC, purchased from GCS Investments $500,000 in convertible debt issuedby GS Clean Tech. During the period ended March 31, 2006, Cyrus effected conversions totaling $280,000, corresponding to 14,000,000 shares of the Company's common stock. During the second quarter 2006 Cyrus effected additional conversions totaling $120,000 into a total of 6,000,000 shares of the Company's common stock. Kathi A. Kreisler From a 3/30/2001 filing: Kathi Kreisler is a Co-founder of VERIDIUM CORPORATION and served as its President from 1984 through December 1994. She has been a director since March 1984. In January 1995, Ms. Kreisler became vice president, secretary and treasurer of Veridium Corporation. From 1979 to 1984, Ms. Kreisler was a principal in Kreisler Bags and Filtration, Inc., which name was subsequently changed to KBF Pollution Management, Inc. Ms. Kreisler is the wife of Lawrence Kreisler and is the mother of Kevin and Scott Kreisler. During 2005, Kathi Kreisler received salaries of $33,750. During December of 2005, Kathi Kreisler received 3,806,811 shares of the Company's common stock as a settlement of all severance liabilities. "This system is not bad, it is just how things have worked in every functional society since time began. Someone provides a good or service in exchange for receiving a good or service. Money just facilitates making change and keeping score." "A system where more goods and services are provided to those who provide less goods and services." Leads to less goods and services. "Where the link to producing goods and services and receiving goods and services is severed. Outdated, shabby or no production follows. Leads in time to a robust Free Enterprise system - starting with a black market." Note: I am a shareholder - I do not work for, nor do I receive any direct or indirect payment from GERS or anyone associated with them. (But it would be Kapitalist Kool if I did) I will not intentionally mislead - but I can be wrong (ask Mrs. SkunK for specific frequencies) - so do your own due diligence - and take responsibility for your own financial decisions – (and your own life in general) good or bad. I do not give financial advice - I let you look at my dd as I try to make sense of it all and make MY decisions. Make your own! I have been rightfully accused of being a rather cheery, positive individual who laughs at every opportunity. These tendencies may cause me to overlook deficiencies in this stock that are painfully obvious to others. Celebrate today - and some good garage logic luck to ya. Disclaimer for those who need additional clarification. . .
My beliefs and the financial strategies discussed on this site are not to be used without proper financial analysis of your personal situation. Better yet, you do not have my permission to use them at all. I strongly suggest you seek help of a financial advisor or, even better, a Certified Financial Planner in order to assist you in any financial planning. I am not selling or advising you to buy any financial products. I am not selling or advising you to buy this stock or any other stock! I am just blogging about one of my favourite subjects! This is a hobby for me and should only be entertainment for you. You may analyse my opinions and determine if they suit you or not. I hope that your personal finance path to your goals will be covered with success and profit. Enjoy your reading. Additional Disclaimer for the real knukleheads . . . .
Look, if your still reading this disclaimer and haven't figured out my name is SkunK and I don't know nothin' then you really need help. If you still want to blindly go out and do whatever some dude on the internet does then I can't help you. If you are not emotionally secure enough to suffer another's opinion - then turn the dang channel. Quickly seek a mental health professional! I am not one of them either! DISCLAIMER: The author is not a registered stockbroker nor a registered advisor and does not give investment advice. His comments are an expression of opinion only and should not be construed in any manner whatsoever as recommendations to buy or sell a stock, option, future, bond, commodity, index or any other financial instrument at any time. While he believes his statements to be true, they always depend on the reliability of his sources. The author recommends that you consult with a qualified investment advisor, one licensed by appropriate regulatory agencies in your legal jurisdiction, before making any investment decisions, and that you confirm the facts on your own before making important investment commitments. Video: NEXTDiesel - Horiwitz tour of site. It just don't fit anywhere else! 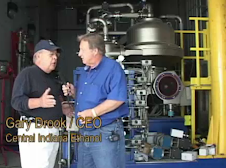 Distillers Grain Quarterly - 2007 1st Quarter - "COE Opens New Markets"